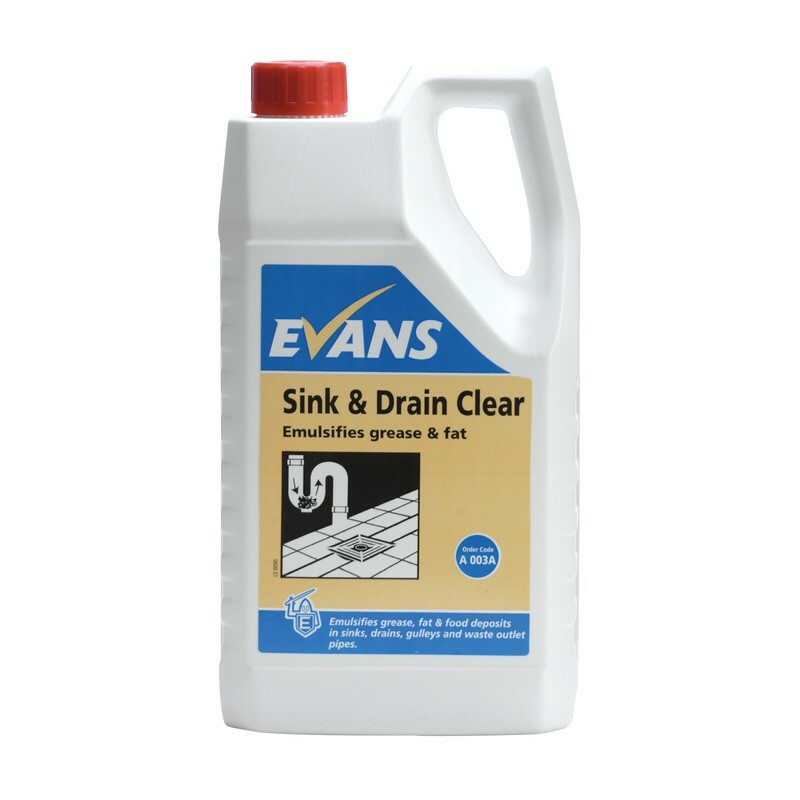 Evans Sink and Drain Clear is a powerful, high active liquid which emulsifies grease, fat and food deposits in drains, gulleys and waste outlet pipes. It is formulated to work quickly and efficiently to help keep drains free flowing, avoid blockages and overcome malodours. Emulsifies and quickly clears grease and fat. Helps to keep drains and gulleys free flowing. Will reduce build-ups and blockages. Suitable for use in kitchens, washrooms and shower areas. Contains a pH of 12.3. Waste Build Up and Regular Maintenance: Pour 250ml of fluid into the drain or down the sink, once or twice a week. Blockages: Pour 500ml - 1ltr of fluid slowly into the drain or down the sink and allow upto 20 minutes for the blockage to clear, or alternatively, leave overnight. Flush drain or sink with hot water. Please Note: After using this product do not use a plunger, as product may still be present in the outlet pipe.